When will be Mr. Crabtree Goes Fishing next episode air date? Is Mr. Crabtree Goes Fishing renewed or cancelled? 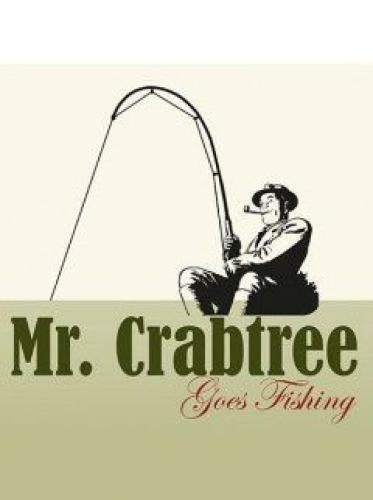 Where to countdown Mr. Crabtree Goes Fishing air dates? Is Mr. Crabtree Goes Fishing worth watching? In Mr. Crabtree Goes Fishing, presenter John Bailey goes fishing in the footsteps of his angling hero, and takes a different young guest ‘Peter' with him each week.The series is based on the comic strip story of a father who takes his son Peter on a series of angling adventures over the course of a year, fishing for a variety of species along the rivers and lakes of Britain. Where episodes 1 and 2 could have had us believing that we'd skipped off to film in the sun, there's no doubting we're in Britain for episode three, and experiencing the wettest ‘summer' for the longest time. Any UK angler will empathise with the conditions our angling companions experience, but will be equally heartened by their tenacity and ultimate success. Thankfully, 9-year-old Henry from Devon is happy to fish in all weathers and his enthusiasm never wanes as he and John spend a contented two days fishing numerous lakes, deploying different methods and tactics depending on the environment and enjoying the natural world as they fish for all species. 10-year-old Michael from Coventry comes to us wanting to catch Carp, and as with many youngsters today, this means BIG fish. This presents a complex quandary for John in episode four, not least because as the smallest of all of our ‘Peters', the sheer physical strength needed to play a big fish is not necessarily a given. In this episode we see John visiting his friend and contemporary carp angler Alan Blair to talk about modern methods and to gauge where to start with Michael. We see Michael catch his big fish, and John's internal wrangling over whether he's taken the right approach – will he manage to convey to Michael the true joy of fishing in their two days together? Jaynie, 14 and Claragh, 12 from Glasgow are largely sea and game anglers so placing them knee-deep in the Wye to fish for Barbel presented a big challenge. Add to that rising waters and swollen rivers and you can imagine how tricky episode 5 became. We see a more contemplative John in this episode, scanning the twists and turns of water he knows and loves so well for signs of fish and working constantly to guide the sisters in their quest for Barbel. They find Chub, but will they capture the elusive Barbel? For the final episode in the series we're back working a multitude of waters to find Mr. Pike. Fishing with 14-year-old James from Wales, we feel the obvious sense of comradery present in two anglers with a common goal. John and James fish for Pike in rivers, lakes and weir pools; early mornings are obligatory and in this episode we join the anglers as the misty dawn breaks around them. As John discusses summer piking and the peculiar challenges it presents, we experience with them the agony of darting fish and missed strikes. They're certainly working hard enough, but will they find their fish? Mr. Crabtree Goes Fishing next episode air date provides TVMaze for you. EpisoDate.com is your TV show guide to Countdown Mr. Crabtree Goes Fishing Episode Air Dates and to stay in touch with Mr. Crabtree Goes Fishing next episode Air Date and your others favorite TV Shows. Add the shows you like to a "Watchlist" and let the site take it from there.